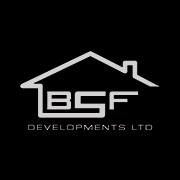 BSF Developments Ltd - Builder, Carpenter based in Nuffield Industrial Estate, Dorset. BSF Developments provides carpentry, roofing, building services and much more to the Dorset, Hampshire and Wiltshire areas. BSF has built up a reputation for quality workmanship at competitive rates. We pride ourselves on our customer service and ensure that every job is finished on schedule and on budget. If you require a carpenter or a carpentry team, if you are building a new house or extension, renovating an existing property, thinking of having a loft conversion, require new roof coverings or have a leaking flat roof then call BSF Developments today for a free no obligation quote or for free help and advice.